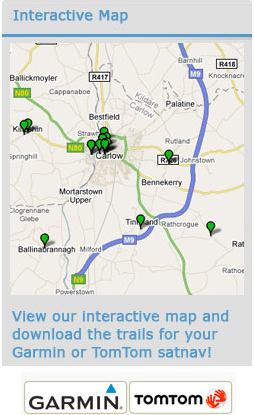 Myshall lies at the foot of the northern slopes of the Blackstairs Mountains which provide a magnificent backdrop to the rich pasture lands and winding country roads which surround the village. 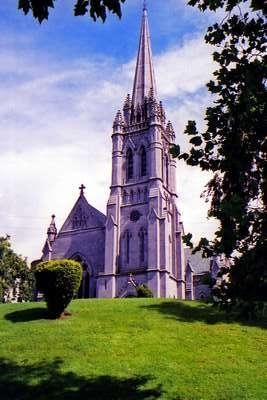 St. Finian, known as the ‘tutor of the Saints of Ireland’ and founder of the celebrated monastery of Clonard, Co. Meath, was born in Myshall about 470 AD. The village contains the remains of a 8. 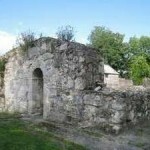 Romanesque church that Finian founded in the sixth century. 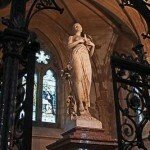 Local tradition also links St. Columbanus, Ireland’s first great European saint, with the area. 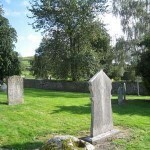 Tradition holds that he was allegedly advised by St. Croine Bheag of Carlow (see St. Patrick’s Trail) to leave home to follow his monastic education. His journey took him to Bangor which enjoyed a close association with Carlow town. A stained-glass window in the 9.Catholic Church of Exaltation of the Holy Cross commemorates Myshall’s association with St. Columbanus. 10. 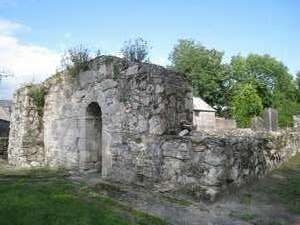 St. Brigid’s Well is an ancient holy well that is now a modern shrine. 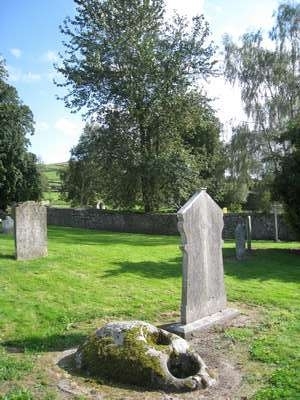 In the graveyard you will see a double bullaun stone and if the sun hits the Blackstairs in the right way, you might see two vertical lines called the Witch’s Slide running down the side of the mountain. Together these landmarks form a colourful ancient story about a Carlow witch who had a falling out with her neighbour, threw a stone (said to be the standing stone in Clonee), slid down the mountain and fell to her knees where she left two imprints in the bullaun stone! This church was raised by John Duguid of Dover, England, in memory of his wife Adelaide and his daughter Constance who was killed in a riding accident while visiting friends in Myshall. Described as an architectural gem, it was designed by George Coppinger Ashlin, one of the foremost architects in the country as a miniature of Salisbury Cathedral in England. It stands in beautifully maintained grounds, accessed by a yew-lined drive. 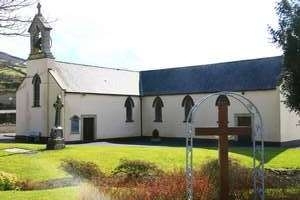 The church was built on a cruciform plan with a high pitched roof. The building materials were limestone and granite. 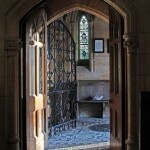 Above the doorway, the tower has two long narrow lancet windows which lead the eye upwards to the elegant spire. 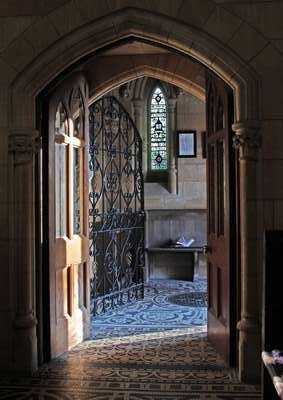 The entrance is through a beautiful Gothic doorway with three decorated orders and inside the medieval Gothic tone continues. 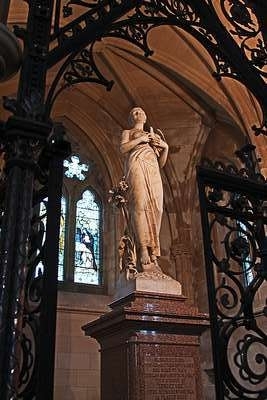 The memorial statue of ‘Innocence’ carved from Sicilian marble commemorates Constance, and in fact it was the sculpture’s inability to withstand the harsh Irish weather in its original outdoor location that prompted John Duguid to build the Adelaide church protectively around it. 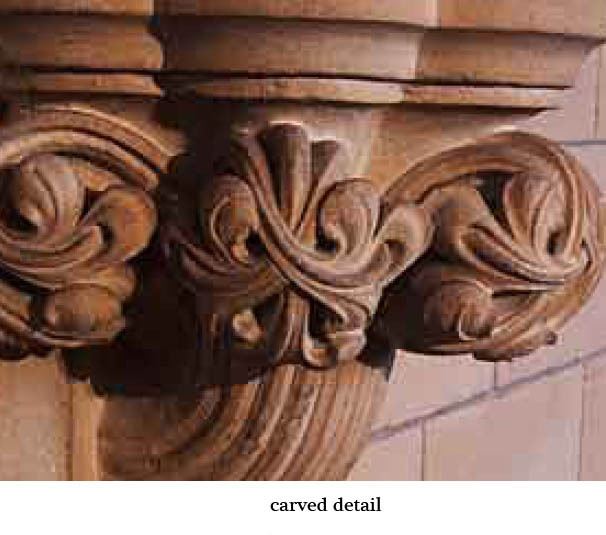 No surface in the building was left unadorned and delicate carving can be found everywhere and especially on the Bathstone which lines the interior. 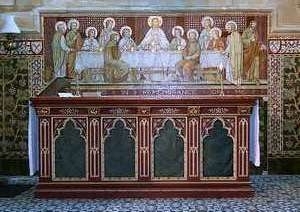 Trefoil designs predominate apart from the panels near the mausoleum where John, Adelaide and Constance Duguid are buried. Here the English rose and Scottish thistle are found; (Mr. Duguid was of Scotch descent, his wife was English). 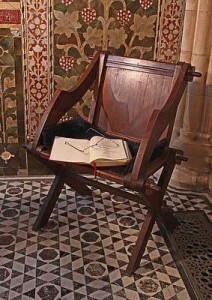 The finest materials were used everywhere. The design of the marble floor in the chancel was taken from St. Mark’s in Venice while the stained marble steps came from Galway and the red granite pillars from Aberdeen. 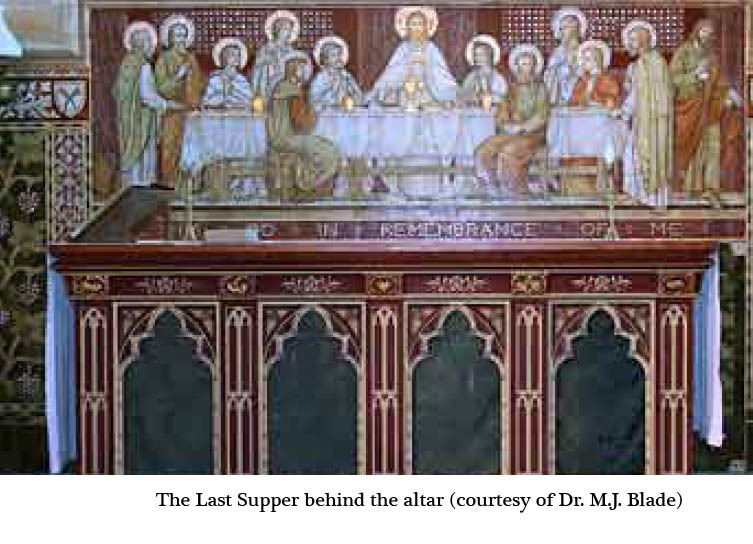 Behind the altar is a luminous fresco depicting The Last Supper, adapted from Leonardo da Vinci’s famous painting at Milan. 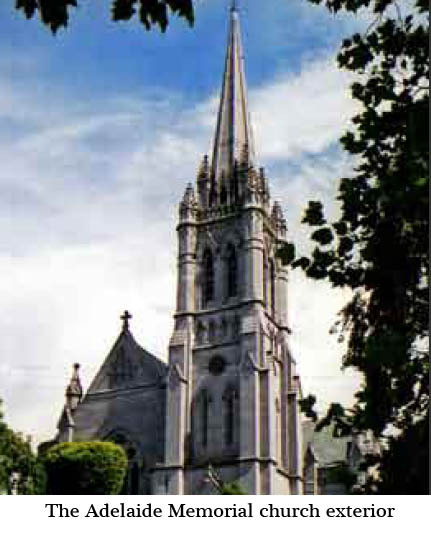 The church was consecrated in September 1913 and continues, under the name of The Church of Christ the Redeemer, to provide a beautiful place of worship for the local Church of Ireland community. Trefoil: Three-lobed form of ornamentation, especially in tracery.